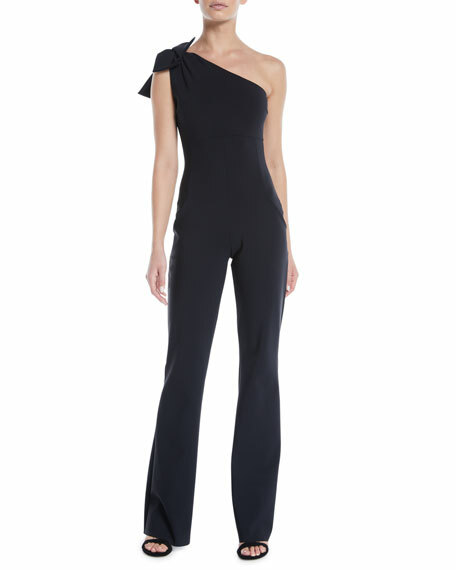 Tom Ford georgette jumpsuit with cape. Sleeveless; open sides and back. 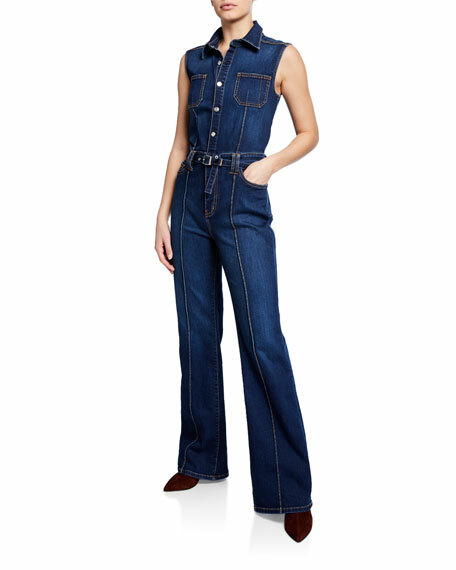 For in-store inquiries, use sku #2555435. 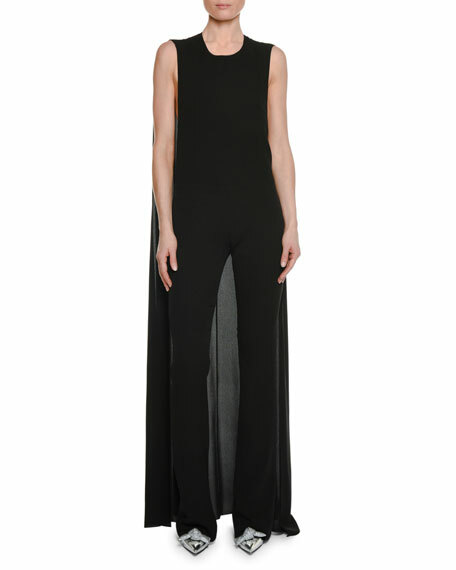 Chiara Boni La Petite Robe "Lety" split jumpsuit. 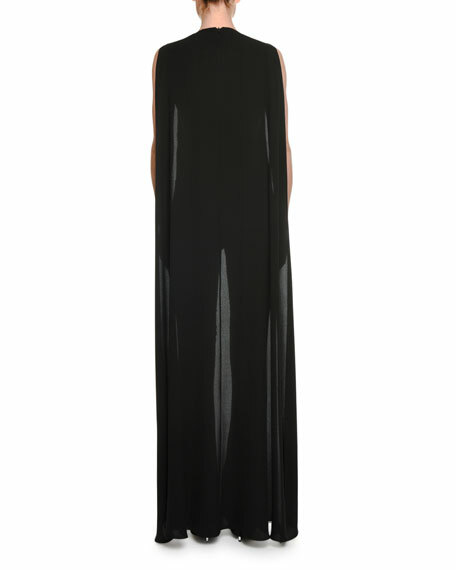 Asymmetric neckline; right cutout. Sleeveless at left; right cold shoulder. 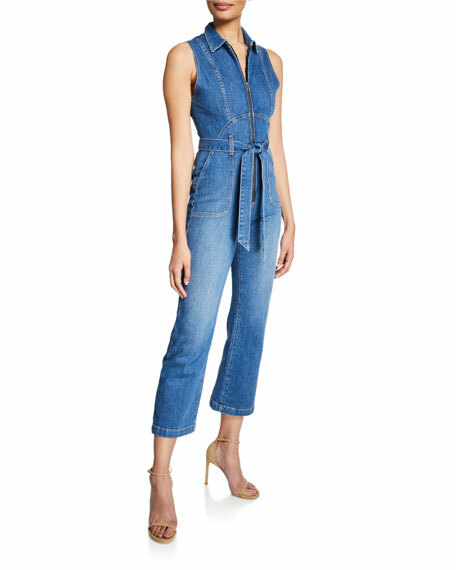 Raw-edge hem for ease of tailoring. Fitted bodice through straight legs. Step-in style. Dry clean. Nylon/spandex. Made in Italy.